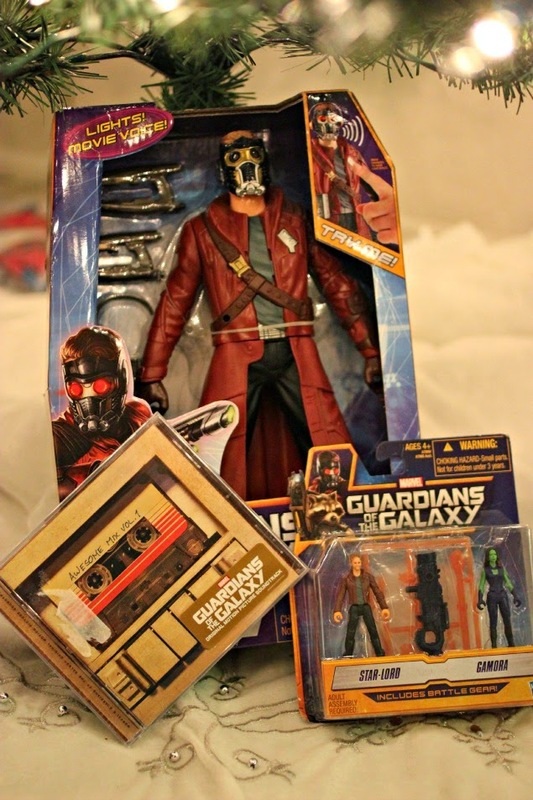 I am such a huge Sci-Fi geek and Guardians of the Galaxy is on my must own list. It has it all- laughter, action and tears. However, the laughter is top notch. Oh and the wicked awesome dance off and soundtrack? Top notch. 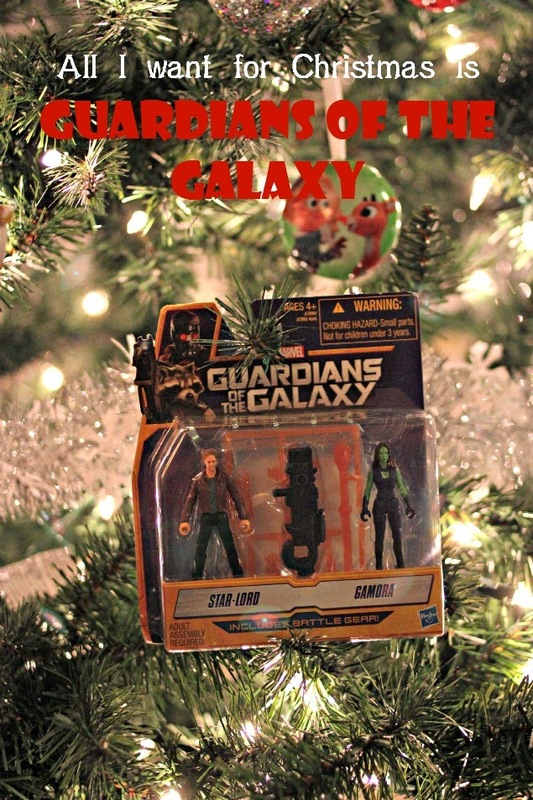 The movie drops in stores tomorrow on Blu-Ray and DVD and how awesome would it be to have the ultimate Guardians of the Galaxy gift for the Star-Lords, Rockets, Gamoras and Groots in your life? I have a 9 year old nephew who is a bundle of energy and loves action. Wait. Let me correct myself- he's not my nephew, technically he's my GREAT nephew. Apparently, I just want to age myself a bit. Ha. Really, my niece (his mom) and I are only three years apart. When Guardians of the Galaxy came out, it was something I knew he would love. the action figures are out of control awesome. 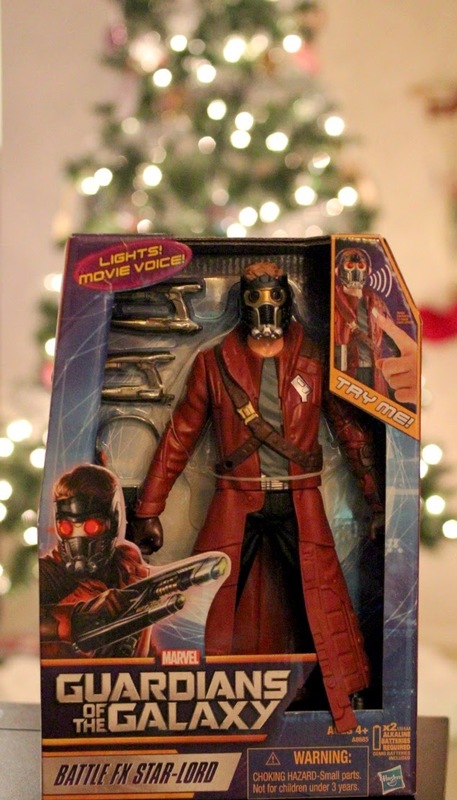 Of course, HAD to get him the Battle FX Star-Lord. Oh and don't judge, I've been playing with him a bit. What? Like you wouldn't.. pffftttt... Star-Lord is awesome. We all know how much the soundtrack rocked and had to pick one up for him to play along with mini-action figures. Oh and of course... Merry Christmas to me, I bought an extra CD for me! Ha. 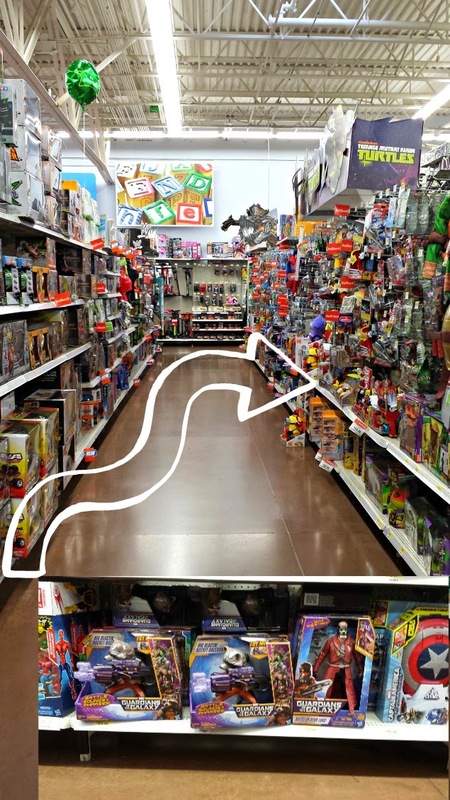 Walmart has an amazing promotion right now where you get a $5 Walmart gift card offer when you purchase a Groot, Drax or Rocket Raccoon figure for Disney Infinity 2.0. From 12/7 - 12/13, when you buy one of these Disney Infinity 2.0 figures, the cashier should be prompted to give a $5 Walmart gift card instantly. So if you have the Disney Infinity 2.0 AND a Guardians fan... dance to it! Of course, don't forget that the movie drops tomorrow, December 9th. It's a MUST own and makes the PERFECT gift for a movie fan. There will be an in-store display with merchandise and the movie. The DVD features will include an exclusive character O-sleeve, exclusive music zinepack and a 64-page magazine with cast and crew interviews, exclusive behind-the-scenes photos and trivia PLUS a custom “cassette" laptop decal. Have you seen Guardians of the Galaxy? 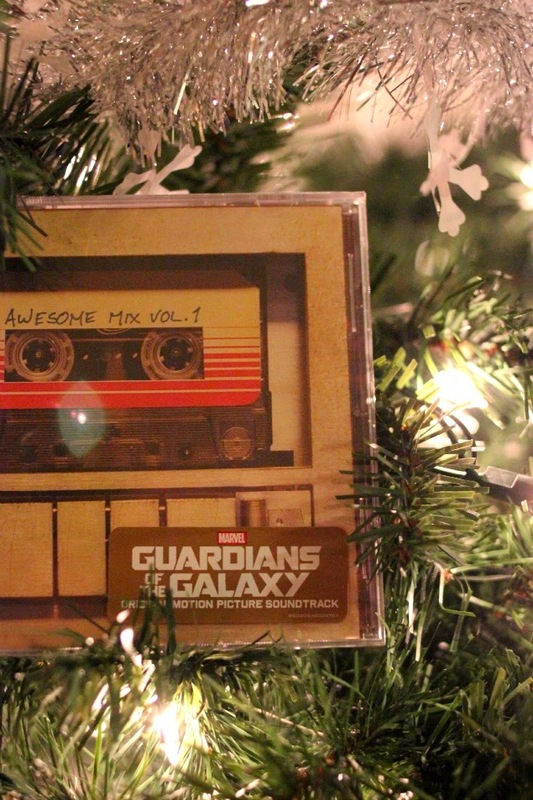 Do you have any Guardians fans who would love getting it for Christmas?